It’s time for an Italo Disco Festival in Gothenburg, Sweden. 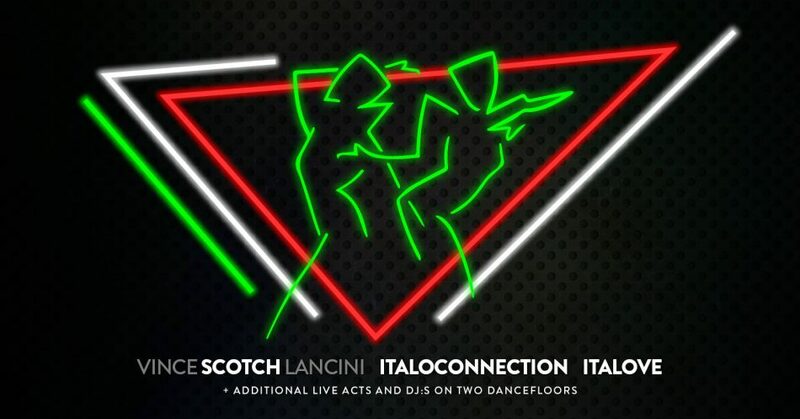 The have invited the iconic Italian 80s act SCOTCH (Vince Lancini) alongside with ITALOCONNECTION (the exciting project of legendary Fred Ventura and Paolo Gozzetti) and a couple of newer acts; ITALOVE, TOBIAS BERNSTRUP, DISCO DIGITALE and ITALO BlTCHES. There will be live shows on two stages, great DJs playing the best italo disco, 80s and newgen, and synthpop on two dance floors, Italo Disco photo exhibition, quiz and more.